"... by far one of the most inspiring and encouraging books I've ever read." "... totally uplifting in so many ways." At the beginning of my 20s I was so very lonely. Loneliness was the theme song of my teenage years and early 20s, my constant companion. I wanted to escape from my loneliness, but I felt trapped. Trapped by my own fears, trapped by a life that didn't feel like mine, trapped in a world both too small and too big. What do you do if it feels like you're in the wrong life? If you're so unhappy, so alone, so lost, you can't see a way out? 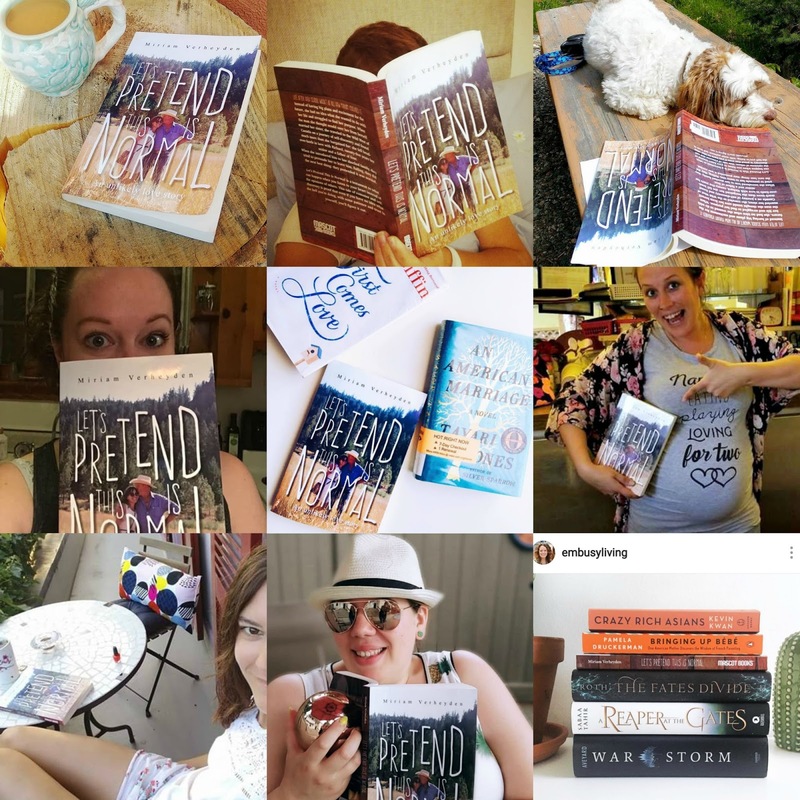 Let's Pretend This is Normal is a book about love and courage. Because love saved me. Loves saves us all. But in order to find that love, I had to be brave. Loving someone is scary. Opening up your heart is a vulnerable act: what if it doesn't work out? What if the heart gets damaged? Or broken? But here is the thing: what if it does work out? What if you open yourself up to love, and it heals you? At 22, I fell in love with a man who was 48. Who had 4 children. Who lived 10,000 km away from me. Whom I had only known for 3 days. Meeting him felt like coming home. I belonged. It felt right. We went for it against the odds. Against the advice of friends and family. Against what our heads were trying to tell us. Because our hearts knew. And we trusted them. I wrote this book to let you know that you are not alone. That there is hope. That sometimes, we have to do things that are so scary, we want to throw up. But it's worth it, because there is happiness to be found on the other side of fear. This book is my reminder for you that you are strong. Much stronger than you think you are. And it's a reminder that life and love can take you places beyond your wildest dreams - if you let them. "I read it cover to cover in a day. Seriously - it was so good!!!" "The whole time you're saying how lost you are, but I just read how determined you were!! Most of us are not like that. You're amazing!" "I loved this book to the moon and back. I read it in a day and I never do that. It was fun and refreshing." "Every woman would gain strength from your words." "What continually goes through my mind is that we all have stories to tell about not having life all figured out - but we don't share them - so we assume others have it figured out and we're the only ones struggling or questioning." "I couldn't put it down!" "Loved your book and hope it continues to sell well as the message it contains and conveys is one people need to hear." "Miriam’s life story so far reads like something out of a film. One of her boyfriends leaving her and getting it on with her sister is just where it starts! She later meets a man who is quite a lot older than her… and it’s everything that happens before and in between that is simply beautifully written. 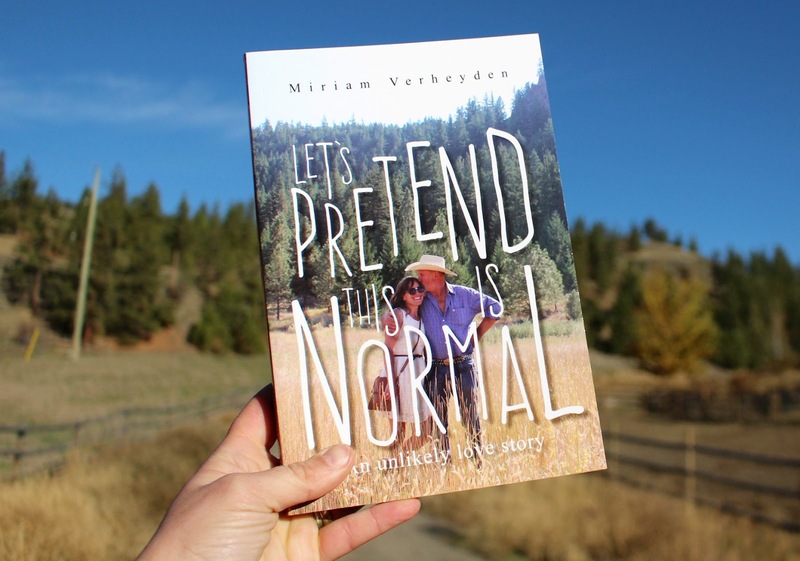 [...] If you love intriguing biographies, love stories, stories to uplift you, then I urge you to get yourself a copy of Let’s Pretend This is Normal by Miriam Verheyden. You will not be disappointed. I am kinda hoping that in a few years time, Miriam will publish a follow up." "Miriam's book was by far one of the most inspiring and encouraging books I've ever read. (And I swear I'm not just saying that because she's a friend!) If you're at a point in your life where you're wondering, 'Is this all there is?' or 'I know there's more to life', if you're someone who needs a little kick in the rump to make a big (or little!) change, or if you're just someone who likes a really good (really true) love story/adventure, this book is for you. I'll even make it easy for you: click this link right HERE to buy Miriam's book." "Miriam’s writing reads as though a friend is sitting beside you telling you a story. I opened it to preview a page, not intending to truly start reading it yet, and soon found that I was several chapters in. She hooks you with her storytelling and I feel like everyone can relate to at least some part of her story." "Miriam’s story is one to which all women can relate: the confusion of her early twenties (What do you want to do? Who do you want to be? ), complicated family drama, and an unexpected romance that changes the course of her life. This is a love letter to following your heart, no matter where it takes you!" Here are just a few of the people who have already gotten their copy. Thank you!! !